Blakemore used a hill to her advantage to take the lead, passing Stevens. 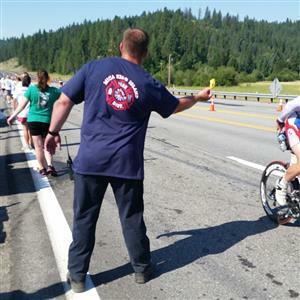 IRONMAN.comCoeur d'Alene is predicted to be a cooker this weekend. 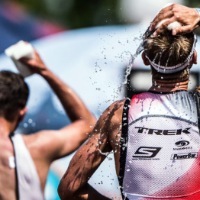 Arm yourself with an IRONMAN Master Coach's advice for the big day. 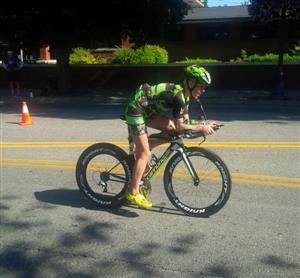 Heather Jackson did a few full IRONMANs as an age-grouper, but is still fairly new to this distance. 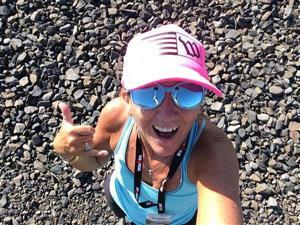 She has been a strong 70.3 racer, but her first full race as a pro was at IMAZ last November. 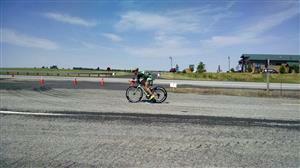 She did IMTX this past May and finished 11th. She's the one to watch today, that's for sure. Kim Schwabenbauer (who writes recipes for us here at IRONMAN.com!) has been moving steadily through the fields on the bike. She's still about 7:00 back, but is a strong runner and one to watch for! 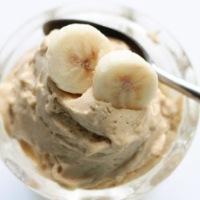 Check out her homemade pb fro yo! IRONMAN.comThis healthy dessert makes the perfect evening snack for when your muscles need protein the most. It's currently 88 degree Fahrenheit here in Couer d Alene. 31 Celsius. Athletes are enjoying the comparatively cool morning in terms of what's to come. Heads are down. Spirits look low.